Drupal 8 has been out for quite a while now, and it represents a significant shift in the architecture. Along with mobile optimization, the Drupal administration interface has evolved a lot with this latest version. 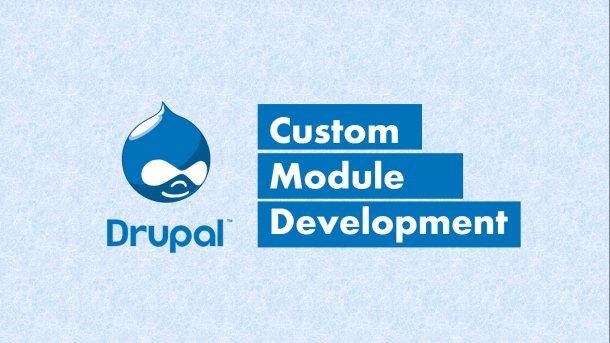 It comprises new modules, the speed, and scope calls for a Drupal 7 to Drupal 8 migration. 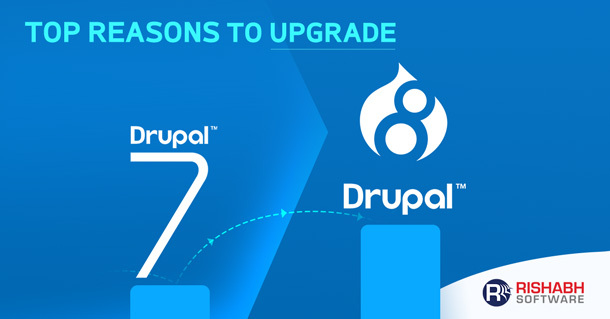 Our article aims to provide you with pertinent reasons to help you understand the factors for Drupal 7 to Drupal 8 upgrade. However, before we get there, this article is helpful for development teams from organizations who are already using Drupal 7 and are contemplating the move to Drupal 8. Also, it will help companies who wish to start a new project using Drupal 8. Drupal 8 has over 200 new features and improvements over the Drupal 7 release. It brings together the functionality to create a user-friendly website management system, efficient data structure, with active API’s for multilingual support. Update Drupal 7 to 8 to improve your company’s website. Here are some of the best Drupal 8 features you should not ignore! Drupal 8 introduces BigPipe Technology. It allows the site with a far better front-end perceived performance because of how it loads and caches content. As a technology developed at Facebook, it helps to dissociate a website into a website into static and non-static elements for prioritization. Thus, loading times are much faster in Drupal 8 than Drupal 7. Drupal 8 is fully responsive without the need for any customization to make that change happen. It features a mobile-friendly toolbar with multiple benefits. It means the site built using Drupal 8 will automatically reshape elements, like blocks, and images to work and look good on any screen size. Unlike the previous version, Drupal 8 seamlessly supports mobility. Administrative themes are responsive, making administration easier on a mobile device. Drupal 8 offers an improvement with multilingual management. It facilitates the internationalization of your sites. Improved language management, translation of labels, and customization of configurations are some of the key reasons for a Drupal 7 to 8 upgrade. Drupal 8 moves towards object-oriented programming, with Symfony, a very popular PHP application development framework with a vast community. It helps development teams to learn and develop modules in the shortest period. Along with Symfony, Drupal 8 also relies on the Zend Framework. It comprises of modularity, robustness, and performance especially on issue management with web services, dependencies classes or the exceptional control of the cache. A more centralized, easy-to-use CMS makes creating and managing content easier with Drupal 8. It natively integrates a WYSIWYG editor into its core, which makes it more user-friendly and facilitates the seamless creation and formatting of the content. Improved content-friendly development and production environment is also an asset for content creators who lack technical expertise. Further, the media files are also easier to move and display in Drupal 8. The fields can be cropped, edited, and resized when images and media get wrapped in Drupal. Drupal 8 uses a system-based configuration management system (not database), which makes it much easier to deploy new configurations to another environment (creating new content types, fields, views, taxonomies). It improves the use of version managers such as Git, by allowing the versioning of the configuration, which is separate from the production content stored in the database. Drupal 8 can be used as a data source in itself, and with content like JSON or XML. Besides, one can even send data to Drupal from their Front-end. With its Hypertext Application Language (HAL), the organizations can now offer secure custom web application services. Therefore, the interface of the website can be managed with any other tool that uses these communication technologies, such as CRM or ERP. The new version from Drupal offers users with more user-friendly content creation, multilingual support, and smoother interface – site creation functionalities. Further, the improvements in its back end also make it more attractive for novice development teams. They help create excellent sites at a more competitive price point with Drupal 8 as compared to Drupal 7. Therefore, to conclude, if you want to start a new Drupal project, Drupal 8 is the best choice. Whether it is an upgrade from Drupal 7 to Drupal 8 or migration from another CMS to Drupal 8, Rishabh Software can support you with all your Drupal 8 requirements. We provide a full range of Drupal web development, including design, development, integration, and maintenance. Wish To Upgrade To Drupal 8?Benefit from our experience & expertise on the Drupal CMS to succeed with your web & mobile projects.